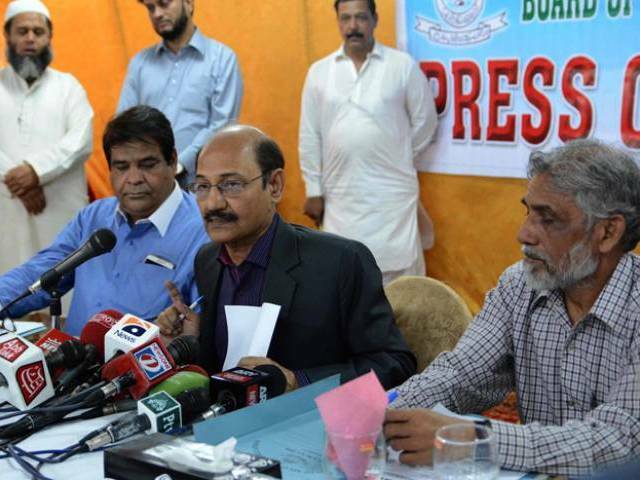 KARACHI: The Board of Secondary Education, Karachi (BSEK), despite not having a full-fledged secretary and controller of examinations, is set to commence examinations for class nine and Matriculation from Monday (today). The annual examinations for class nine and ten (science and general groups) start on March 28, 2016, and will end on April 21 across the province. The commencement of examinations on time is the proof of the hard work of the acting controller and those with additional charge of BSEK secretary, said BSEK chairperson Anwar Ahmed Zai at a press conference on Sunday. He mentioned that all admission cards, date-sheets, computerised enrolment cards and details of examination centres have been dispatched to the relevant schools. “We are here, with our offices open even on Sunday, to resolve any complaints,” he said, pointing out that the board office is open on a Sunday. Informing the media about the total number of registered students, he said out of the 338,708 registered candidates, 167,771 are of class nine while 170, 937 are of class 10. The chairperson also announced that the board will continue to register students, left behind for any explainable reason, until Sunday midnight. “The registration for the annual examination, 2016, has been increased by seven per cent as compared to last year,” said Zai. He further said that the number of examination centres has decreased to 382 from 463 last year, explaining that schools with better facilities of accommodation, furniture, water and toilets have been converted to centres. “The board has tried to make centres in every town so students can have easy access,” he said, while answering a question. Of the total 382 centres, 60 have been declared ‘sensitive’ and 27 ‘most sensitive’ in terms of clashes and mishaps observed in the past. A centre has also been set up at the central jail so prisoners can appear in the exams. “Ten students are appearing for class nine while 13 are appearing in the Matriculation examinations [at the jail],” Zai told The Express Tribune. “We have formed 40 vigilance teams consisting of officials of the divisional and district administration to look after the centres,” he said, adding that a meeting was also held with commissioner Asif Hyder Shah regarding security matters. 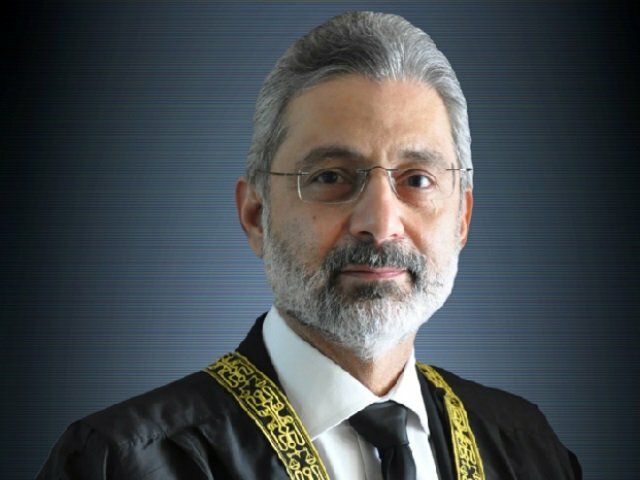 As part of security measures, Section 144 of the Code of Criminal Procedure, which allows a ban on activity for a specified period of time, has been imposed in and around examination centres by the relevant authority on the request of the board to restrict any external and internal involvement in the exams. A ban has also been imposed on operations of photocopiers situated near the centres during examination hours. To make sure the examination papers have been delivered safely, 11 hub centres have been formed for delivery of sealed packets of question papers to the centres. Zai also said that they have made sure that any non-teaching staff will not be given duties of invigilators, while a centre has been set up at the BSEK and another at the commissioner’s office, which will handle seven reserved vigilance teams that can be mobilised during any emergency. The board has also requested K-Electric to not carry out ‘load-shedding’ during exam hours, he revealed. Published in The Express Tribune, March 28th, 2016. Petitioners had argued against the Sindh govt's direct, merit-based appointments. A city divided — how to seek inclusive growth?